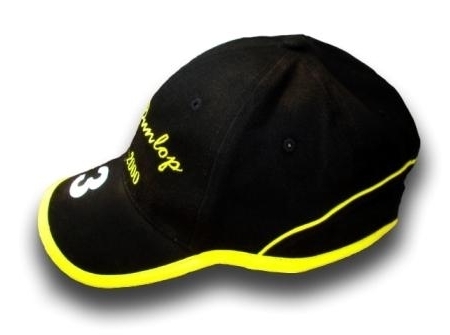 A baseball cap acknowleging the achievements of Northern Ireland motorcycling road racing champion Joey Dunlop O.B.E., M.B.E. Designed and manufactured by solely by Smallsports in Ireland and is approved by the Dunlop family. Adjustable rear brass fastener (one size fits all). This is an officially approved product. Moulded peak with embroidered '3'.